Welcome to the July Lo Down! This month has been CRAZY! Although later than usual, I hope you enjoy this Month’s Lo Down and the bonus recipe at the end. As always, if you have a cooking or kitchen question, shoot me an email so we can get it answered, and for a chance to be featured in the “Ask Lo” section of Zestful Kitchen. 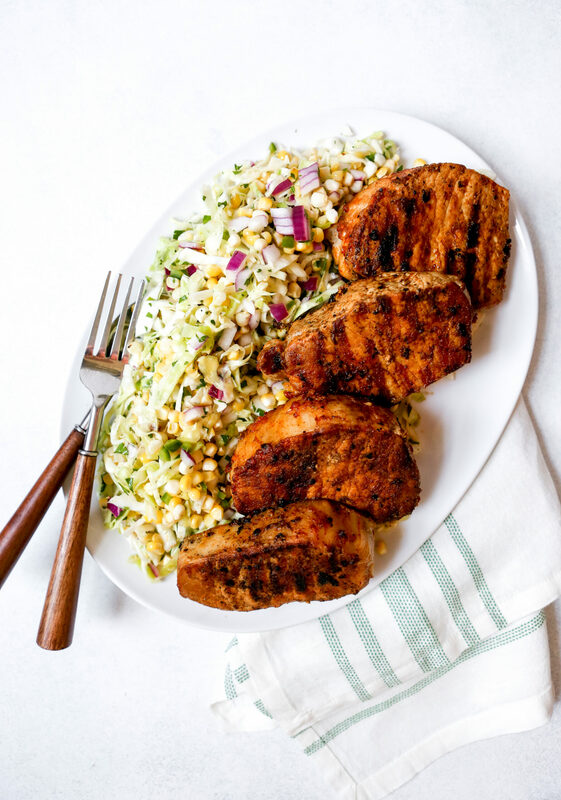 Check out this recipe for Smoky Grilled Pork Chops with Sweet Corn Slaw that I developed for Cooks’ Emporium this month! I’ll be honest, I had never heard of Rachel Hollis until my mom gave me this book for my birthday. But as the good millennial that I am, I now follow her on everydamn social media platform out there. Because you know, when you like someone’s work in one place, you’ve got to follow them everywhere else. Right…? Anyway, this book is an empowering reminder to all women to stand up for who they are, who they want to be, and what they want from this life. Yea, it sounds like pretty deep s**t, and it is, but in a digestible, relatable way. Every chapter tackles a particular lie we’ve all been told, or tell ourselves, about who we are or who we should be. Zoë François is a master in the baking and cookbook world. Over the past few months, Zoë has started creating Instagram “minisodes,” or how-to videos, for many of her recipes from her website. Her videos are informative and education (much more so than any Tasty video out there), offering realistic tips and techniques to make you a better baker. She’s wonderful, smart, and so talented. I highly recommend checking out her Instagram page and watching a few of her numerous highlighted stories, there’s many to choose from! 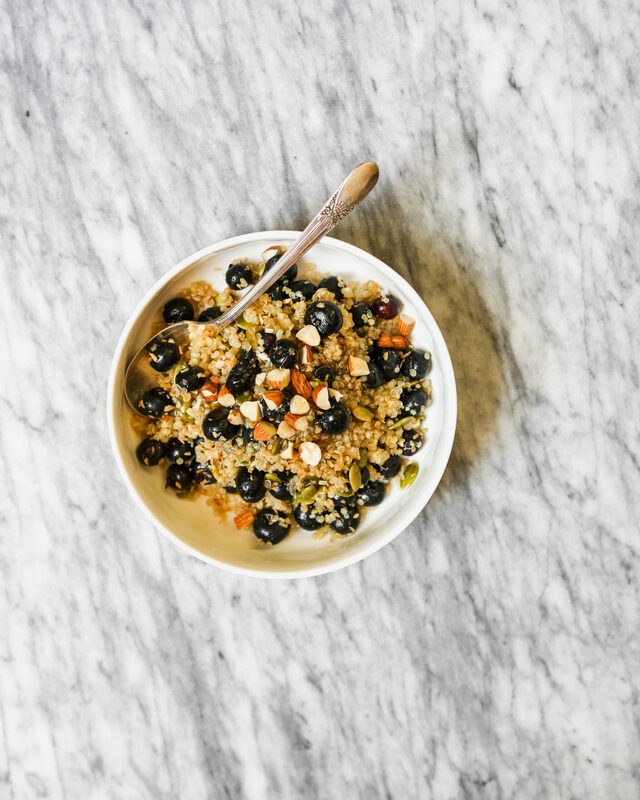 I cook up a big batch of quinoa at the beginning of the week then serve it like oatmeal. I add fresh fruit, nuts and seeds, toasted coconut, maple syrup or honey, and a mixture of spices, I like cardamom, cinnamon, and nutmeg. Shout out to my sis for introducing me to this super easy breakfast! You know Malcolm Gladwell as an author of numerous books, long-time writer for The New Yorker, and a well-known public speaker. So it’s no surprise that each season (three total) of his podcast Revisionist History, about things overlooked or misunderstood, repeatedly tops the charts. I’ll be the first to tell you, I’m obsessed. If you’re new to Revisionist History, I would recommend starting with season one and working up to three. Not because they’re a series, although some do build off of each other, but because it gives you time to get to know Gladwell, to understand his passion, and to grasp the importance of his research and analysis on each topic. I also haven’t found an episode I haven’t liked, so why not give them all a listen? Some people have the patience to mince garlic by hand, and when I’m feeling fancy, I do too. But for nights when I want to throw something together quickly, I turn to my garlic press or microplane to get the job done. I’ve used both thePampered Chef and the Kuhn Rikon Epicurean Garlic Press, of which I prefer the later. However I do like both, I just find the Kuhn Rikon to be easier to clean. The Pampered Chef press comes with a separate plastic piece that helps push the garlic out for cleaning, which does make it easier to clean, but dare you lose that little piece, well let’s say the cleaning game gets a lot harder. I should mention, I’m a very impatient cleaner. The Kuhn Rikon is more spendy then the Pampered Chef, so it’s all in preference and what you’re willing to spend. Nothing groundbreaking here, but I’ve been loving on fresh cherries, blueberries, watermelon, and peaches. In my opinion, aside from the sun, fresh fruit is the best part of summer. Because around the Midwest, winter can be awfully dreary without ripe, fresh fruit. One can only eat so much squash before craving a thick slice of juicy watermelon. Make the most of sweet corn season with these Sweet Corn Pancakes. Topped with a Blueberry Maple Syrup, these flapjacks are perfect for a lazy weekend brunch! A quick note on the Lo Down: If you want to receive the Monthly Lo Down in your inbox and at the beginning of the month be sure to sign up here! Either way, I’m just glad you’re here! I hope you enjoy the new Monthly Lo Down.